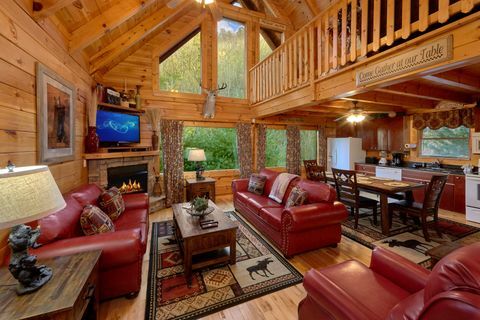 Discover this wonderful Wears Valley cabin rental with theater room and experience the most memorable vacation in the scenic Tennessee Smoky Mountains! 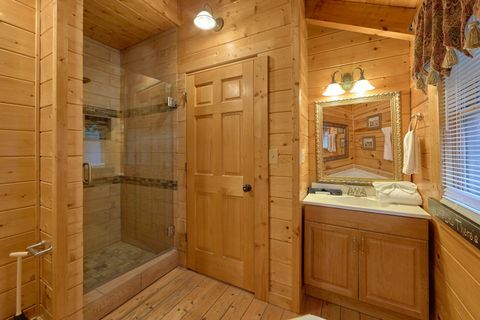 This Wears Valley theater cabin, "Aprils Diamond," provides guests with a lovely 2-bedroom log cabin nestled in a wooded setting that sleeps up to 8 vacationers. 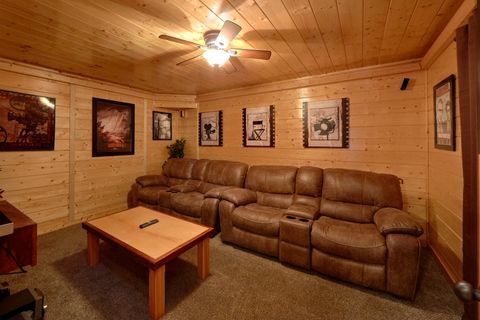 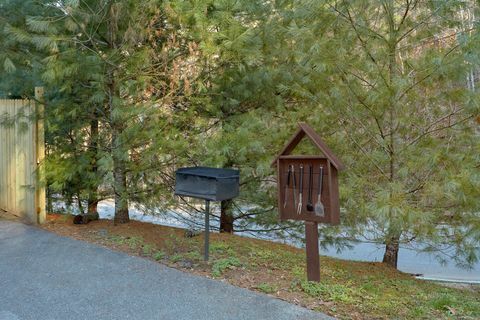 This Wears Valley cabin rental provides the family with a cozy private theater room. 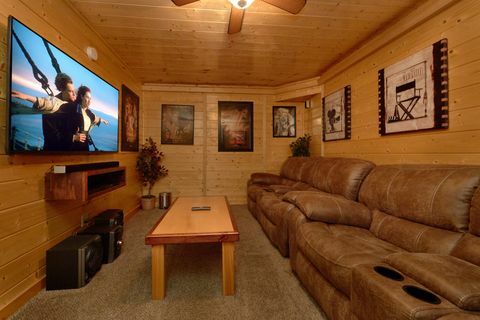 Grab the family, some popcorn, and sit back in one of the plush, leather chairs that surround the flat screen television for a truly spectacular movie experience! 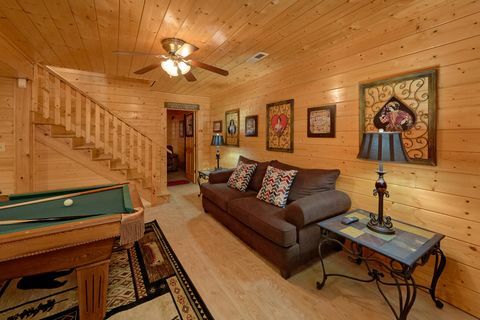 Other features found in this adorable cabin includes two king bedrooms, a sleeper sofa in the game room, a queen bed in the loft, wired Internet access, a year-round family size hot tub with privacy wall, jacuzzi tub, a gas log fireplace, game room with pool table, and much more. 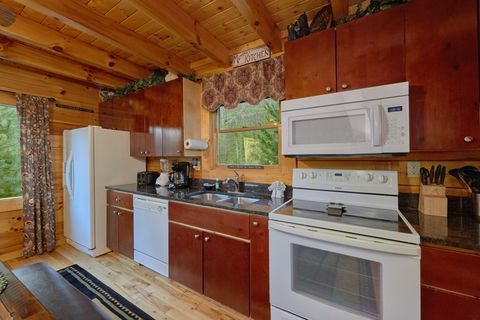 Additionally, this cabin's handsome, fully equipped kitchen allows for the chef in the family to cook meals anytime he or she feels like it. 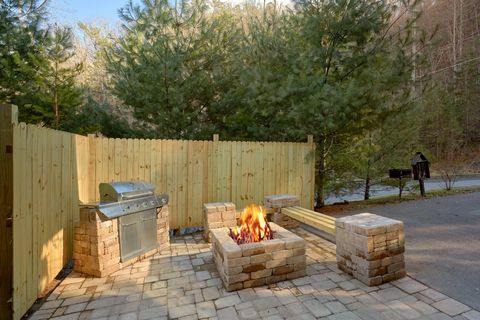 Love the great outdoors? 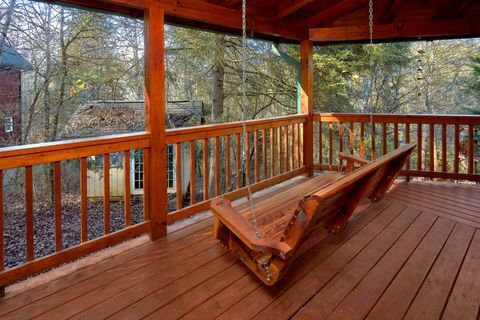 Relax on this Wear Valley cabin rental's porch swing while dinner cooks on the gas grill. 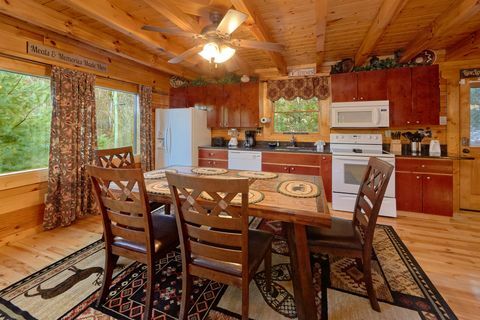 When the steaks have been cooked to perfection, the entire family can sit down to eat in the shade of your cabin porch. 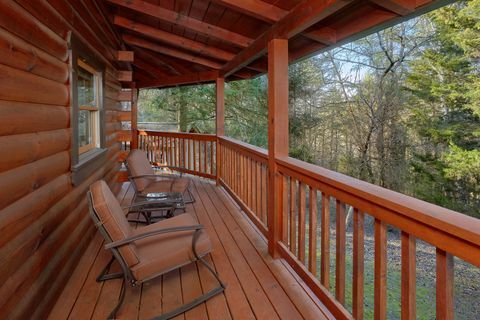 You can also relax outside on your cabin's outdoor patio area. 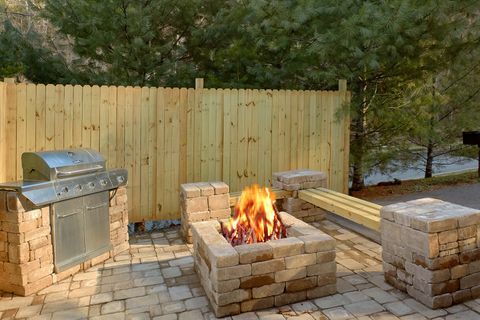 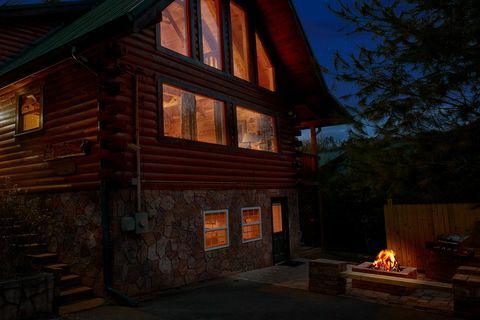 For a great evening spent underneath the starry mountain sky, you can always enjoy your cabin's outdoor fire pit. 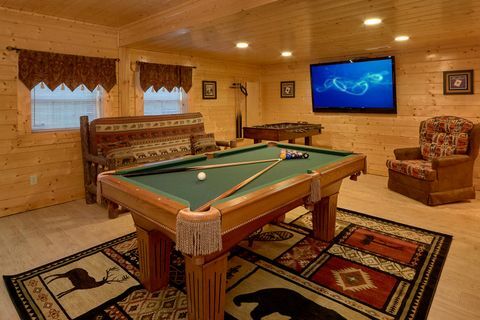 Later in the evening play a few games of pool with family members, while the cabin's washer/dryer handles those loads of clothes for tomorrow's new adventures. 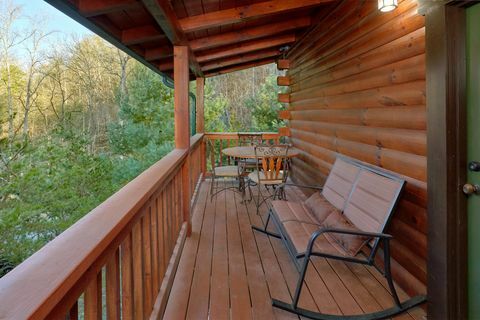 Wears Valley is one of the Smoky Mountains most photographed landscapes, drawing in visitors from all over the U.S. with its green rolling hills and unspoiled farmland. 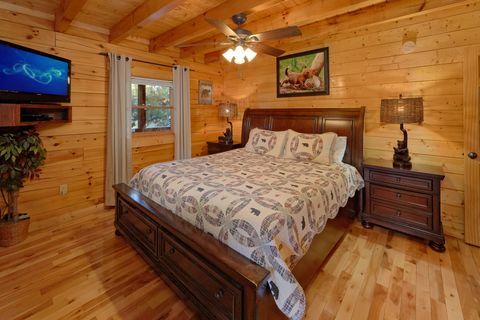 This Wears Valley cabin rental places guests just a short scenic drive from downtown action packed Pigeon Forge with its variety of shows, shopping, and restaurants. 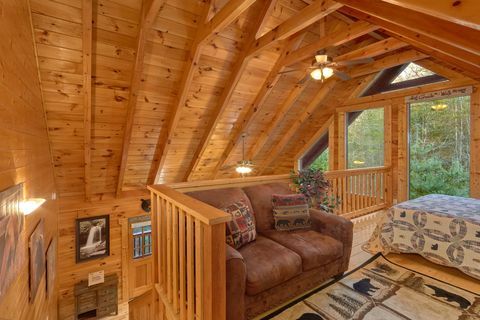 If you're craving something a little quieter for your mountain vacation, this rental cabin in Wears Valley, TN rests only a short drive from Townsend and the historic structures and wildlife of Cades Cove. Tired of searching for "cabin rentals Pigeon Forge"? 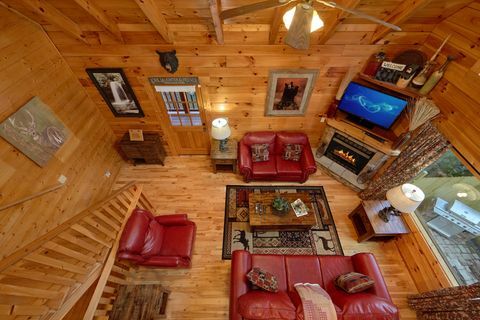 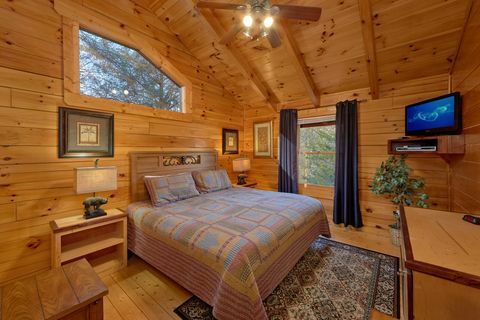 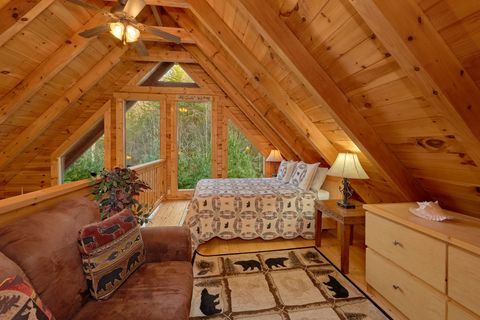 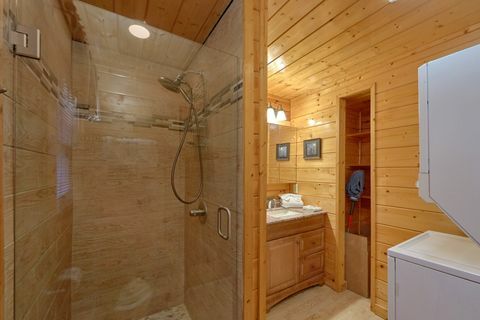 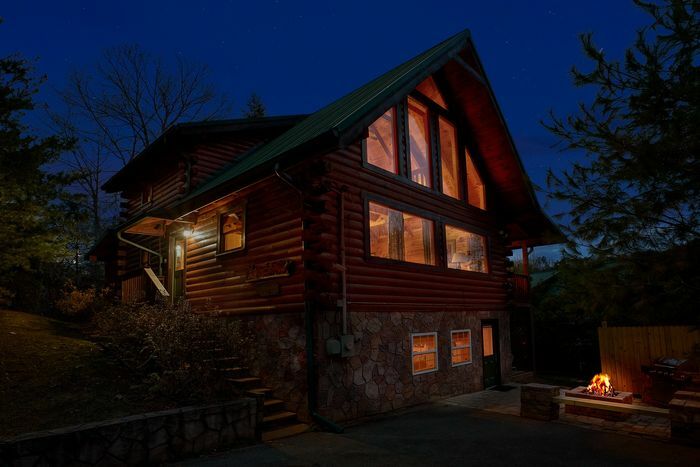 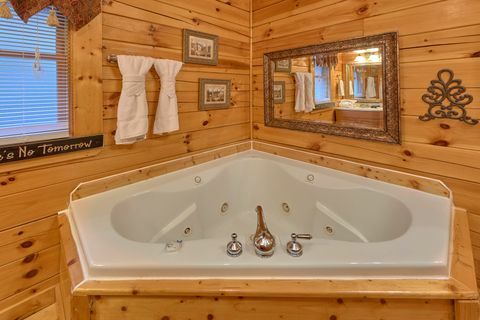 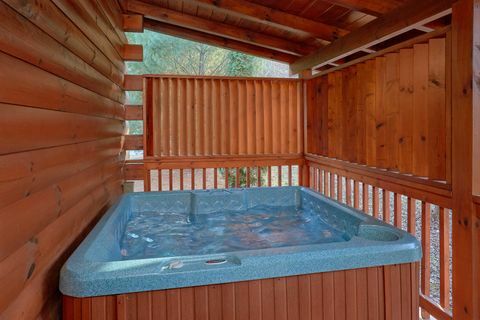 Book this lovely Wears Valley theater cabin online with Cabins USA for your immediate Online Cabin Discount, then head to the Tennessee Smoky Mountains for one of the most memorable vacations ever! 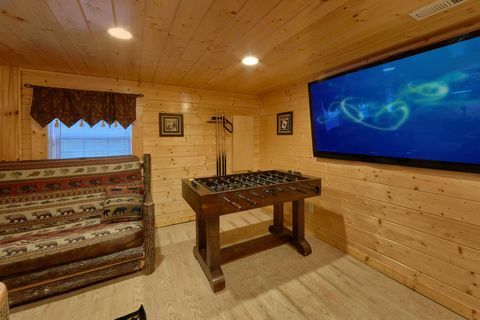 (Please note that air hockey table pictured is no longer in the cabin).